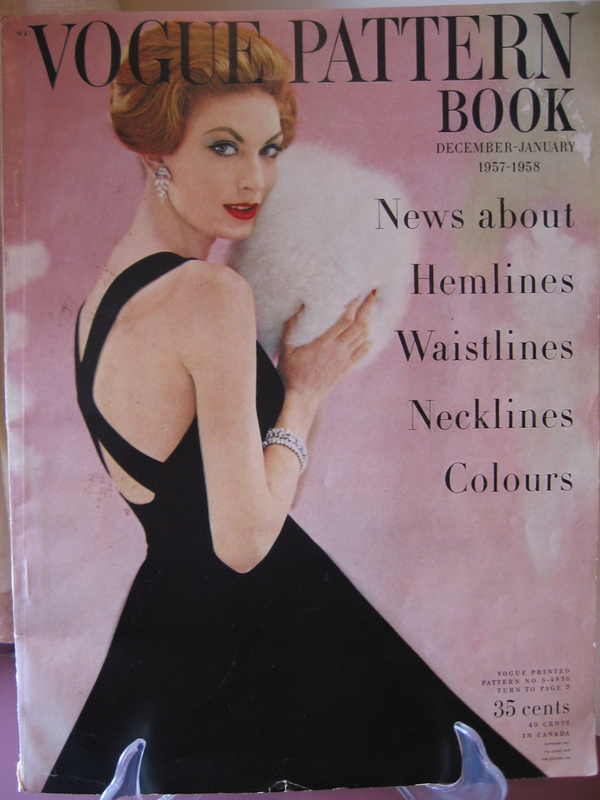 Here is the cover of the December 1957/January 1958 issue. 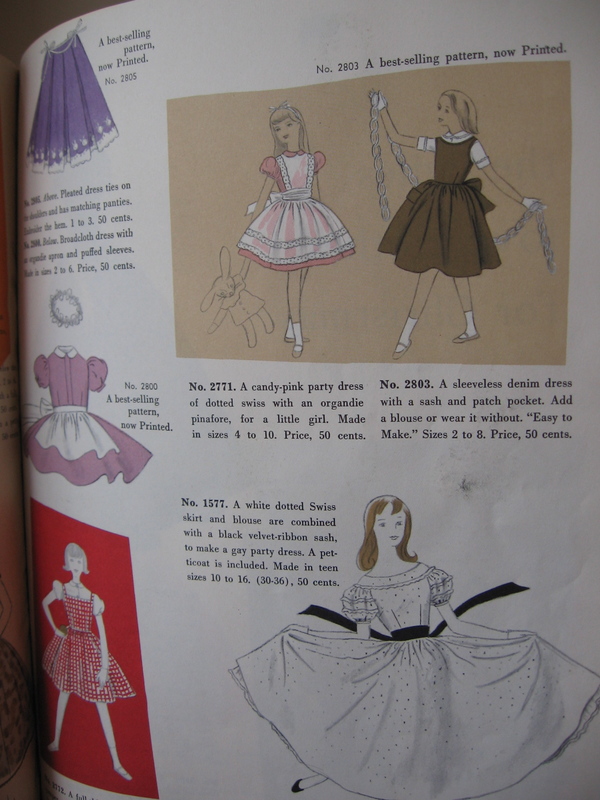 Suggested dresses to make for your little girl and one for your young teen. There were patterns like this to make slips - for yourself or as a gift! 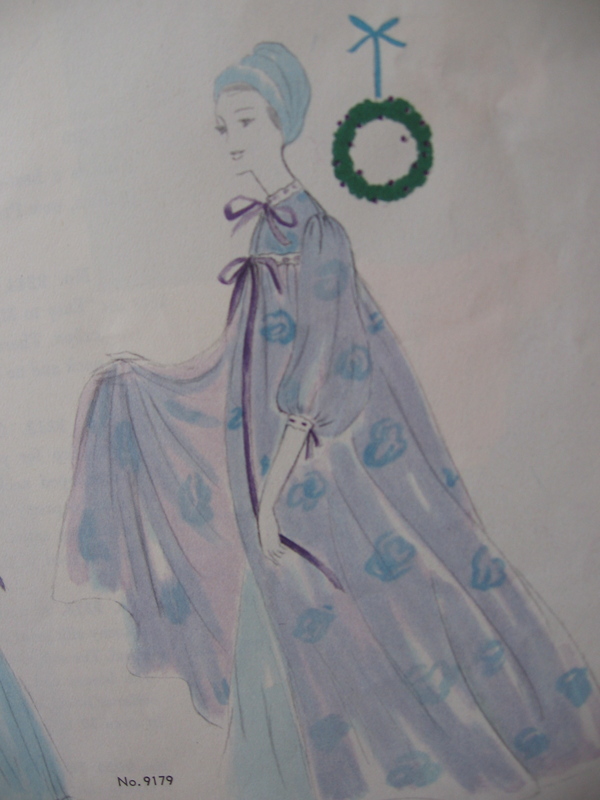 This billowy peignoir and matching nightgown would turn anyone into a vision on Christmas morning! 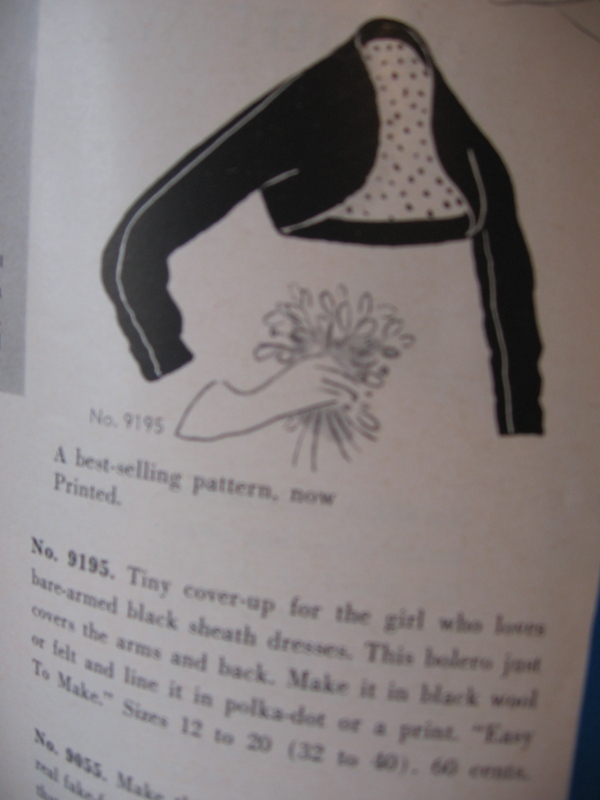 The pattern cost 75 cents. 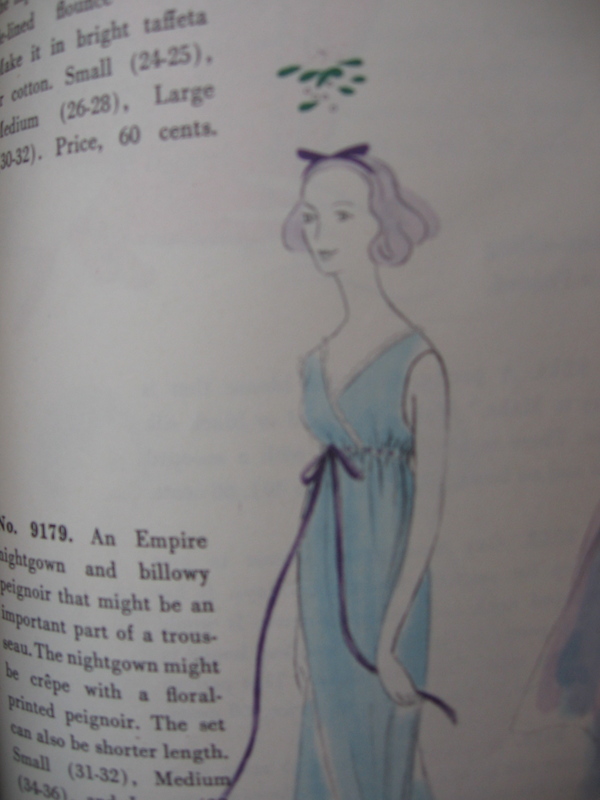 Here is the empire nightgown. I hope you can see that this lovely lady, now sans peignoir, is standing under the mistletoe! This bolero cover-up, lined in polka dots (no wonder I love this! ), would be perfect on New Year's Eve. 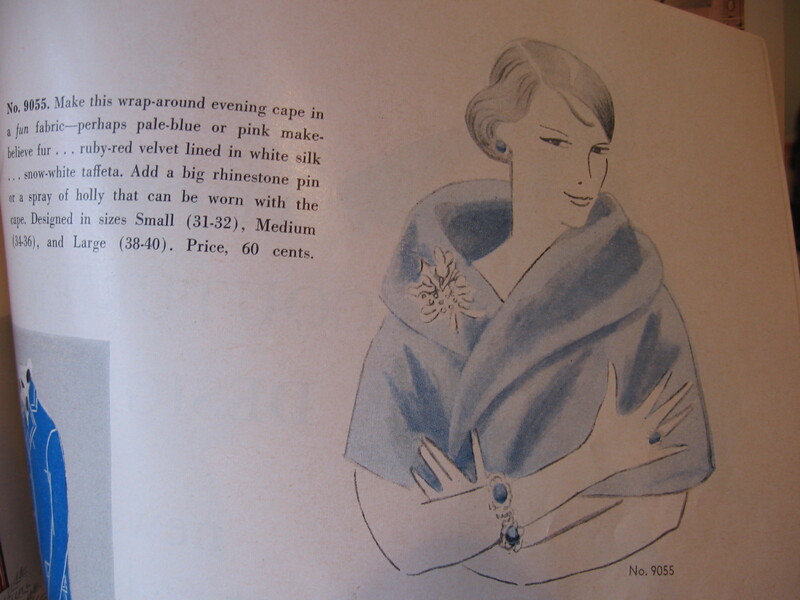 Or - if you are really in a festive mood, they suggest you make this cape in "ruby-red velvet lined in white silk." 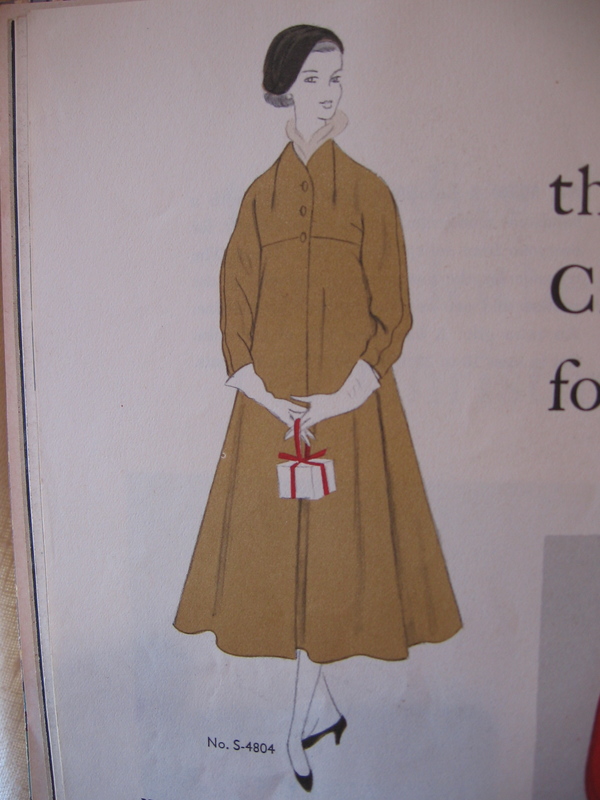 Here is another suggestion, next to a picture of its pattern envelope. 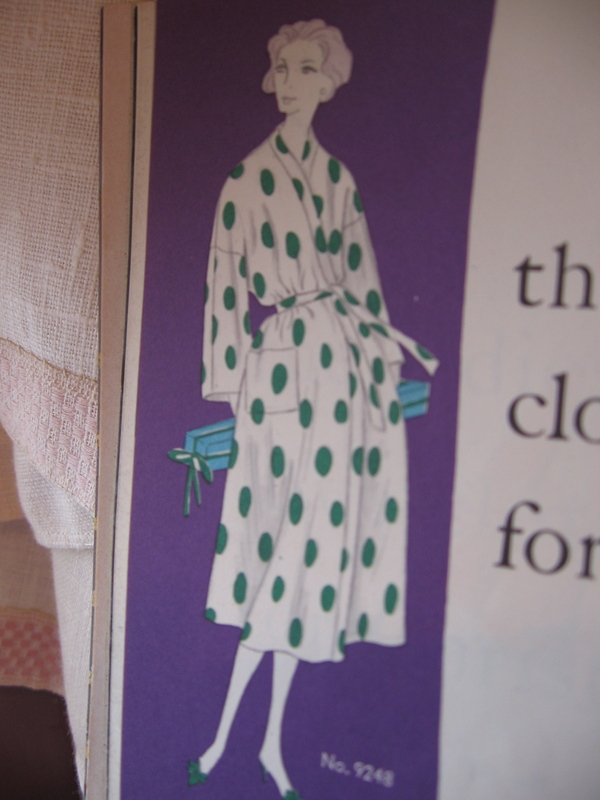 This pattern makes up beautifully into an elegant robe! 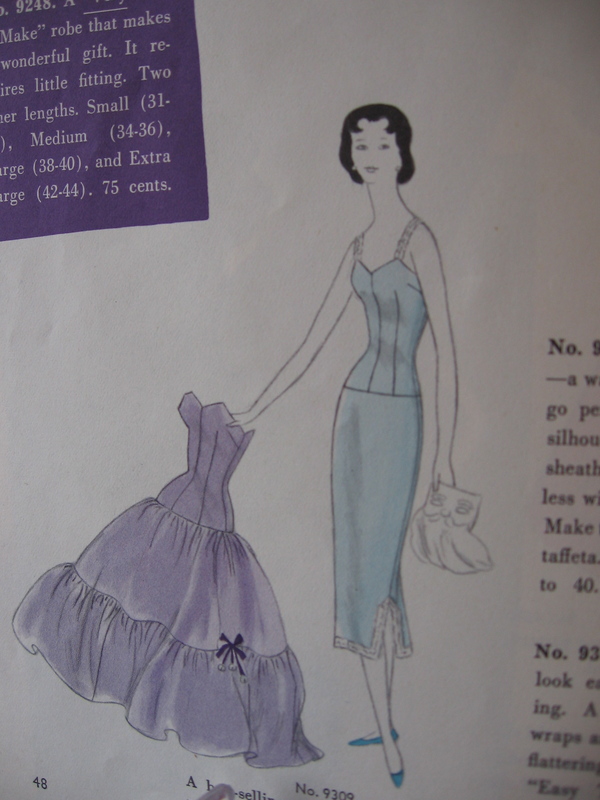 It has additional pattern pieces and instructions for lining it, as well. Yes, I purchased this pattern last Spring and have already made it up in the “lower calf” length. Unfortunately, I did not take a photo of it before it went to its new owner, but here is a shot of a small bit of the silk charmeuse left over from this project. 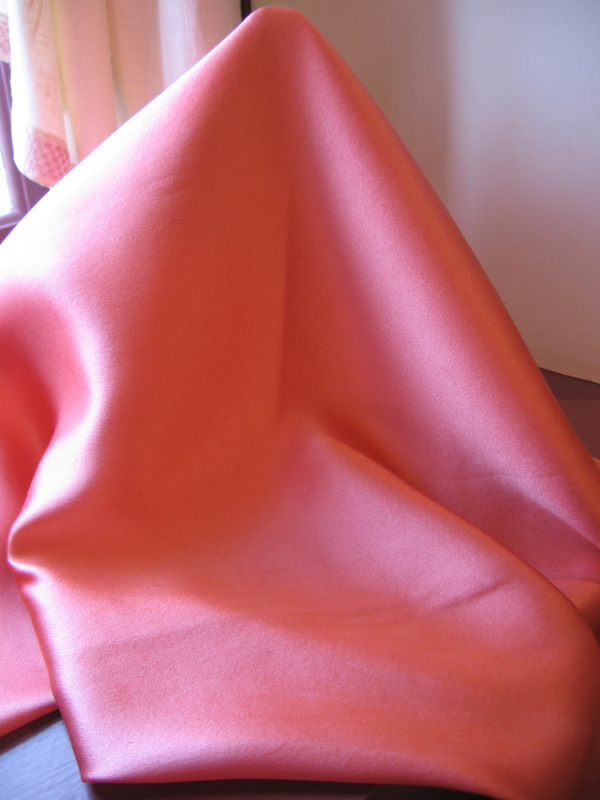 This silk is really more orange-ish than it appears here. I washed and dried it before I cut it out, so that the finished garment would be washable - much more practical for a bathrobe! The reason I am showing you this, is that last week, Pantone, the color guru of the fashion world, declared a color very close to this as its Color of the Year for 2012. Specifically, that color is called Tangerine Tango and its number is 17-1463-TCX. Personally, I have come to appreciate various shades of orange a lot more than I once did. I particularly like to see orange (or coral or tangerine or whatever name you want to give it) paired with hyacinth blue or leaf green or charcoal gray. Although I am not one to feel like I need to be dressed in the current “fad” color, if I get the opportunity to use it in my sewing this coming year, I definitely will. 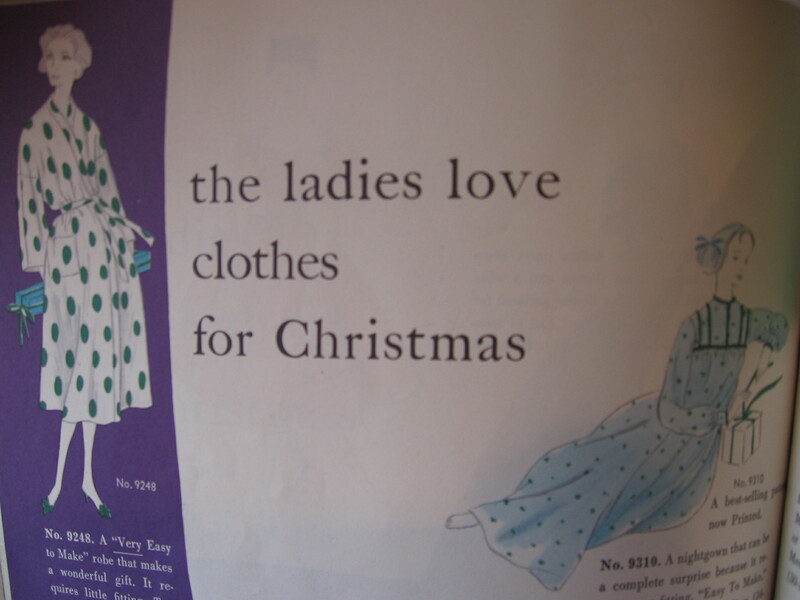 Well, I am digressing from my Christmas theme here, so back to the robe in bright green polka dots. This statement says it all! Here’s to a fashionable, fun Merry Christmas for each and all – and warm wishes for a colorful New Year! 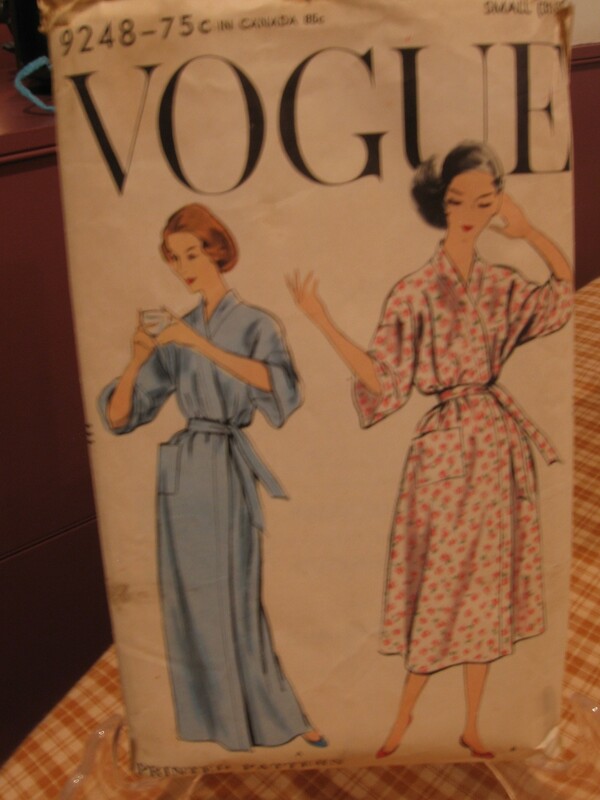 Thanks for sharing the vintage Vogue pattern book pics! I’m sure the recipient of your gift was thrilled – I’m sure the robe is beautiful in that fabric! I have really come to like orange over the years as well. (I even have an orange couch in front of a cobalt blue wall!) I am planning to redo my blog header picture when I have time to make myself a dress with my orange with white polka dot fabric. Orange with white polka dots sounds like the best of two worlds! I’ll look forward to seeing your new header whenever you get it done.